Intel and AMD are at war. The two semiconductor companies that develop computer processors and related technologies for business and consumer markets know that mobile devices overtook desktop computer several years ago, so they have to fight not only with each other but also with mobile chipsets. 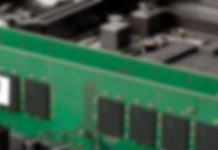 That’s, of course, good news for consumers, who can choose from desktop CPUs that are more powerful, more efficient, and more affordable than ever before. If your desktop computer is ready for a major upgrade, our selection of the top 7 best CPUs in 2019 is here to help you select the right progressor for your machine and budget. CPUs are not nearly as important for consistently achieving high FPS in games as they once used to be. Unless you don’t care about how much money you spend on your gaming PC, you’re better off buying a more affordable CPU and using the money you save to get a better GPU. The Intel Core i3-8100 delivers a tremendous value at a very affordable price and is everything you need for comfortable Full HD gaming at high details. Just don’t expect it to be as future-proof as CPUs that cost 10 times as much, because it won’t be. Pros: Affordable price. Great gaming performance. Four physical cores. Cons: Doesn’t support Hyper-Threading technology. The AMD Ryzen 7 2700X promises the highest multiprocessing performance you can get on a mainstream desktop PC, and its benchmark result reflects this. The CPU is compatible with AM4 motherboards, which are readily available and relatively affordable for what they offer. If you buy a high-end motherboard, you can expect great overclocking results with the AMD Ryzen 7 2700X. Just keep in mind that the CPU draws a lot of energy when it’s under heavy load, so don’t be surprised to see your electricity bill skyrocket if you game 24/7. Pros: Fantastic performance delivered at a reasonable price. Compatible with AM4 motherboards. Suitable for overclocking. Cons: High energy draw when it’s under load. If it wasn’t for its quirky nature and early compatibility issues, the AMD Ryzen 3 2200G would easily be our budget computer processor of choice. It’s extremely affordable, features a capable Vega on-chip graphics, and delivers solid Full HD gaming and application performance. You can also overclock it to get even more processing power out of it, but not without expensive memory modules and a better heatsink. When it was released, the AMD Ryzen 3 2200G had several compatibility issues, but virtually all of them have been taken care of now. Pros: Gaming-ready CPUs don’t get more affordable than this. Capable Vega onboard graphics. Overclocking potential. Cons: Early compatibility issues. Insufficient single-core performance. The 8th generation of Intel’s Core i5 processor has finally received two extra cores, which it so desperately needed to compete with similar CPUs from AMD. With its 6 cores and aggressive Turbo Boost, the performance of the Intel Core i5-8600K is on par with the excellent gaming performance of previous-generation Core i7 models, making it a fantastic choice for gamers who want to enjoy latest AAA titles at the highest graphical settings and multitask without limits. The CPU is easily overclockable, but we expect most gamers and PC users to be happy with its stock performance. Pros: 6 cores for extra performance under heavy loads. Effective Turbo Boost that kicks in when needed. Top-of-the-line CPUs, such as those in the Core i9 series of flagship processors from Intel, are fun, but they certainly don’t deliver great value for money. Why? Because you can move one step down to the Core i7 series and enjoy great overall performance at a much more affordable price. Yes, the Intel Core i7-9700K is still an expensive CPU, but it’s not ridiculously expensive, especially when you take a look at its benchmark result. What’s more, the Intel Core i7-9700K doesn’t use nearly as much power as the i9-9900K, so it saves you money in the long run. Pros: Excellent performance at a relatively affordable price. Doesn’t use as much power as the i9-9900K. 8 CPU cores. Cons: Doesn’t come with a cooler. Remember when dual-core CPUs were all the rage? Well, the AMD Ryzen Threadripper 2950X has not two, not four, not eight, but 16 cores and 32 threads that together provide astonishing simultaneous multi-processing power. With 40 MB of combined cache, you can access large data sets in the blink of an eye, and AMD has even added a new Precision Boost Overdrive tool into the Ryzen Master application to let users to maximize their CPU’s power draw and frequency without having to deal with obscure BIOS options. Pros: 16 cores and 32 threads. 40 MB of combined cache. Mind-blowing single- and multi-core performance. Cons: Power-hungry and difficult to cool. The Intel Core i9-9980X is not a good buy. The CPU is incredibly expensive, and it doesn’t even come with a fan or heat sink. But it does have 18 dedicated CPU cores, 36 threads, and a boost clock of 4.5 GHz. Does it make sense to buy this CPU to play games at 4K resolution? No. 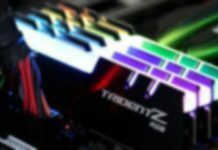 Does it make sense to buy this CPU to render video or edit music? No. 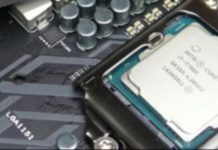 Does it make sense to buy this CPU because you can afford it and want the most powerful desktop computer money can buy today? You bet. Pros: Incredible performance in single- and multi-threaded workloads. High Turbo Boost frequency. Cons: Price. Limited value for money. Regardless of what your budget is, there’s a CPU that can meet your needs without emptying your bank account. Faster and more efficient CPUs are released every year, so there’s no reason to pay for more than what you really need. But if you’re an avid gamer who streams Full HD gameplay footage in real-time, our list of the top 7 best CPUs available in 2019 is here to help you find the right flagship processor for you.